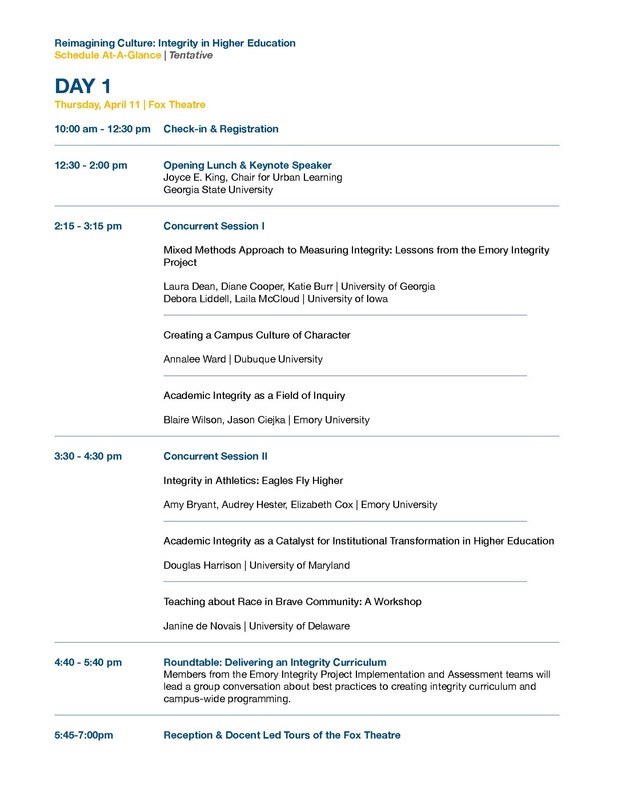 During the 2016-2017 and 2017-2018 academic years, the Emory Integrity Project (EIP) offered grants for faculty to support the incorporation of issues of integrity and ethics into undergraduate courses and co-curricular programming. The grant program funded courses and programs proposed by faculty from departments across the university, including: African American Studies, Anthropology, Center for the Study of Human Health, English, French and Italian, History, Neuroscience and Behavioral Biology, Philosophy, Religion, Sociology, Spanish and Portuguese, and Theatre and Dance. At this time new applications are no longer being accepted.